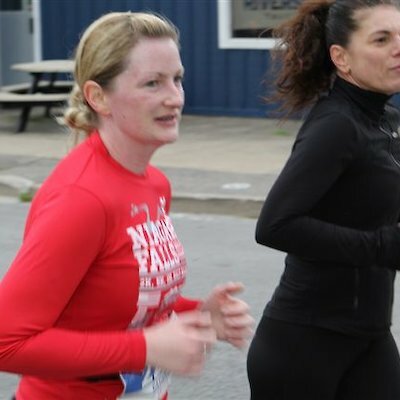 Niagara Falls International Marathon Was a Pounding Success. Reports are that this past Sunday’s marathon was a real success. 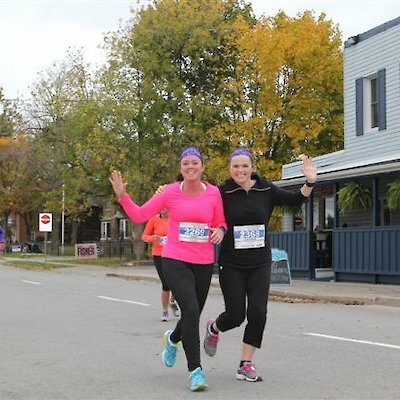 With weather remaining around 11 degrees Celsius it was just perfect for the runners and spectators that lined the route from Buffalo New York to the brink of the Canadian Horseshoe Falls. I took a number of photographs during the day long event. 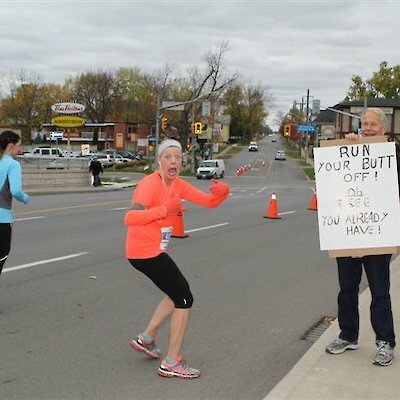 In one of them you will see Niagara Falls resident Tom Newell holding up a sign of encouragement to the runners. Congratulations to all the runners who took part in the marathon.